John Kenneth Muir's Reflections on Cult Movies and Classic TV: Ask JKM a Question #8: Which Television Programs Would I Bring Back? Ask JKM a Question #8: Which Television Programs Would I Bring Back? That is a really terrific question, Troy. However, picking only three programs is tough given all the great shows that have faced untimely demises and deserve a second chance. Therefore, I am going to cheat a little bit in my ultimate response. Here’s my reasoning behind cheating: If I were to pick a favorite series from decades ago, such as Space: 1999 (1975 – 1977), it couldn’t realistically return today in the exact same format. Some series writers have passed away, others have retired, and the main actors are already ensconced in old age. This means I wouldn’t really be selecting that specific series for a return at all, unless I could magically reverse the aging process too. Instead, I’d be -- in essence -- selecting a re-boot or remake, which is a whole different animal. (And yes, I’m looking forward to Space: 2099, but on those terms.). This approach means I want a Millennium movie right now, starring Lance Henriksen, but I also acknowledge the fact that the talented actor probably doesn’t want to commit to 24 episodes a year, for the next five years. In that event, Millennium now works better as a series of films or TV films, or even as a mini-series if we desire to keep much of the original cast intact and preserve “what is” rather than looking at a re-boot or remake. I’d say the same thing is true about The X-Files. I don’t believe Duchovny and Anderson would want to come back on a weekly basis, but I’d sure love to see an X-Files 3. On the other hand, if we could get Millennium on HBO and make six or seven episodes a year with Lance Henriksen starring, I do think the series would work again on such terms, much like Dexter. See how hard it is to pin down all these factors? It gets complicated real fast. So first and foremost -- no hedging (yet...) -- I’d say, definitely bring back Millennium and Space: 1999 in a way that honors what came before, featuring the original cast where practical, and with as much of the original “creative team” as possible. But then I have to get more detailed. Hence, the following paradigm: I’d resurrect different shows at different times, at least if we’re talking about a return to weekly television and the grind of producing twenty or so episodes a year. So instead of magically reversing the aging process, now I'm magically traveling through time, I guess. I'd go back to the time of cancellation, and advocate for these particular programs, before series regulars moved on to other jobs, and before series creators did likewise. 1. Veronica Mars (2005 – 2007). After only three seasons on UPN/CW, this series still has many great stories to tell. In just three years, Veronica Mars gave us one of the greatest, most memorable TV detectives since Peter Falk’s Columbo in Kristen Bell’s feisty, brilliant character. The mystery format is an under-served genre on television right now, and no show has achieved as much as Veronica Mars did regarding that genre, adroitly updating the form for our high-tech age and advances like social media and cell phones. Picking up on the series now would allow us to follow Veronica as an adult (with new technology…) meaning a whole new avenue of storytelling, whether she’s at the FBI, or still working with her Dad in Neptune. At heart, Veronica Mars was also a mystery series that examined class differences in America: the lives of the obscenely rich and the very poor in one particular context (a California beach town). Today, that background context feels much more pertinent. Hence Veronica Mars deserves a return. 2. SGU (2009 – 2011). Space adventure is sadly absent from television today, but I just finished a re-watch of both seasons of SGU. I am not a fan by any means of military sci-fi, or the other Stargate franchise arms (SG-1, Atlantis). But SGU is a different animal, and in some ways separate from that franchise. SGU only had forty episodes with which to establish itself and many of the episodes – to my surprise and deep admiration – are absolutely brilliant. One episode late in the first season involves an artificial planet, built by advanced aliens who might be “Gods.” Episodes in the second season looks at an alternate future for the crew of the Destiny, and also meditate on the very nature of human consciousness. I’ll say this to anyone who will listen and be just a little open-minded: SGU is as close to Space: 1999-style story telling as any series has gotten in thirty years (only, alas, without Eagles). On SGU, you’ll find no rubber-headed aliens who speak English and represent political forces here on Earth, no continuing enemies, and no easy answers about the realm of deep space. Resources are scarce; supplies limited. Many episodes deal with finding the least-bad of several bad solutions. And best of all, there is a mission as yet incomplete. The Destiny was tracking a signal from the epoch of the Big Bang; a signal that could hold the secrets of our very beginnings. SGU is truly in an unenviable position. The people who don’t like Stargate won’t try it because it is part of that franchise, and those who do like the rest of the franchise don’t like it because it’s too damned different. My recommendation is to set all those expectations aside and experience, with open mind, one of the most serious, intense, and best-written science fiction series made in the last decade. It actually delivers on many points the re-made BSG promised to do, but copped out on during the last two seasons. With the recent success of The Avengers, TV networks should be lining up to get Whedon back behind-the-cameras on this cult property. More to the point, I’d say that our culture has finally caught up with Firefly’s meditations on freedom. When is a man truly free? When is government – even benevolent government – too big and too uniform to assure that individual freedom thrives? Where does government cross the line from “helping” to “meddling” in personal affairs? I’m not going to get into a political discussion that answers any of those interrogatives, only note that Firefly dealt with these issues on a regular basis, and could do so again. I’d love to see that. 1. Millennium (1996 – 1999). Chris Carter’s Millennium remains one of the most artistic, complex, and most oft-imitated programs in cult-tv history. 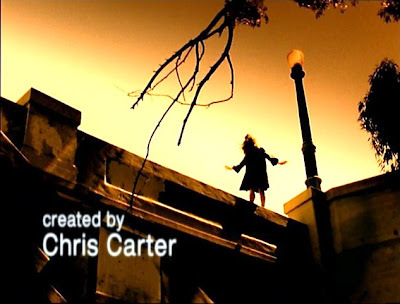 Other programs have seized on the procedural aspects (Criminal Minds, Profiler, CSI) or the psychic aspects (Ghost Whisperer, Medium, The Others, Miracles,) but no series has managed to so deftly combine these plot elements with intriguing visual symbols (like Frank’s Yellow House) and deeply intricate story-telling. I enjoyed the X-Files episode that wrapped up the Millennium series, but would have preferred to see Millennium last six or seven years and really tell us the whole byzantine story of Frank Black, The Millennium Group, and Jordan Black. Canceling Millennium mid-way through a seven year run was a grave mistake, and certainly the series was prophetic in terms of warning us about approaching “bad times.” It did so at the height of the Roaring 1990s, but imagine if the program had still been on the air in the era of 9/11 and the anthrax attacks. Essentially Millennium would have lived to see its prophecies of a looming darkness come true, at least to a certain extent. How would Frank Black have dealt with a Millennium Group on ascent, even more deeply entrenched in power? I would have loved to see that, but as I said above, now look to the idea of a reunion movie, a mini-series, or an HBO-styled continuation. 2. 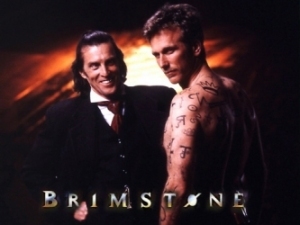 Brimstone (1998-1999). This series starred Peter Horton as a resurrected police man, Ezekiel Stone freed from Hell to capture Hell’s worst criminals. Stone’s boss was the Devil himself (John Glover), and the series ran for just thirteen episodes, again on Fox. The program began as incredibly formulaic (aptly described as demon criminal of the week), but quickly became something much more as the dead man had to see life go on without him. He still loved his wife, Rosalyn (Stacy Haiduk), but she believed he was long gone, and was beginning to move on with her life. The best episodes of Brimstone therefore saw Ezekiel longing again for the human world, and trying to determine his place in a reality that had passed him by…even as he still held love for Rosalyn. The idea, so beautifully rendered, was that in escaping his sentence in Hell, Ezekiel had found another Hell back on Earth, one where everything and everyone he knew and loved was close by, but still unreachable. This rendered Stone a kind of post-modern Tantalus. The end-of-days, washed-out look of the series -- which came before this canvas was de rigeuer in horror -- was also a treat. This is one of those series that sounds high-concept, gimmicky and predictable but the actual execution made it something of a (short-lived) masterpiece. 3. Mystery Science Theater 3000. Can anyone explain to me why this series isn’t still being produced and airing on some cable or premium station, either with Mike Nelson or Joel Hodgson, or both? There’s no shortage of old bad movies to parody, and the writing on the series was always incredibly sharp. 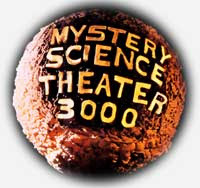 Sure each episode ran two hours, but that just made Mystery Science Theater 3000 event television in my household. Order Chinese food, pour the red wine…and watch Manos the Hands of Fate. What could be better than that? If I could choose a number four from this era, it would be Twin Peaks. 1. 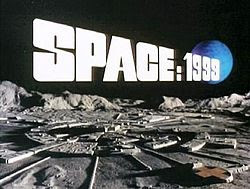 Space: 1999 (1975 – 1977). The iffy science of Space: 1999 has been fussed over and dissected for nearly forty years at this point, but as my friend, mentor and series story editor Johnny Byrne always noted, that conceptual “weakness” became a great strength in terms of telling stories distinctly different from Star Trek and other space programs. Featuring mind-blowing visuals, the greatest spaceship design in history (the Eagles), and stories that explored the terrifying mysteries of space in an era where man was not psychologically or technologically prepared to face them, Space: 1999 gets pilloried all the time for its weirdness and unusual storytelling. For me, these very elements remain notable strengths. Television in the 1970s was weirdly homogenized and “safe,” and Space: 1999 – warts and all -- was anything but homogenized and safe. Instead, it was trippy, gorgeous, oddball, unconventional, frightening, and unique. The program deserved at least five years and a hundred episodes to continue taking visual and narrative chances (and no doubt, it would have continued provoking people all the while…). 2. Kolchak: The Night Stalker (1974 - 1975). Canceled after only one season, this series starring Darren McGavin as an investigative reporter who explored the supernatural deserved a much longer life. Looking back on the series, one can detect how it deals with a very Watergate/mid-1970s context: a heroic journalist speaks truth to power and fights City Hall. I love the show for much the same reasons I love Veronica Mars: the lead character is such a singular and unique individual, and provides an interesting "lens" through which to view the world. 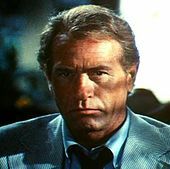 Had the series run until 1980, Kolchak would have felt very timely and of the moment considering such 1970s frissons as the Three Mile Island disaster. 3. 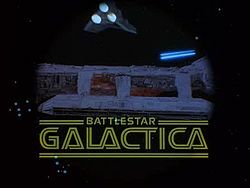 Battlestar Galactica (1978 – 1979). Bolstered by an immensely likable cast and spectacular production values, the original Battlestar Galactica was rushed into production in 1978, and offered a premise filled with potential. 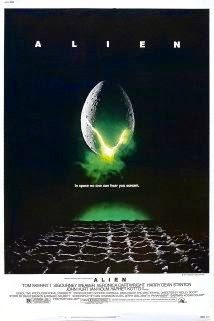 It didn’t always meet that potential, hence all the space westerns and rip-offs of popular movies (“Fire in Space” = The Towering Inferno), but ABC should have followed through with its enormous investment, hired better writers, and committed to Galactica for three full seasons at least. Had that happened, the series would have no doubt more frequently reached the potential that first season episodes such as “War of the Gods,” “Living Legend,” “Man with Nine Lives,” and “The Hand of God” delivered on. Runner-up: The Fantastic Journey (1977). 2. The Outer Limits (1963 - 1965). The Outer Limits is so beloved an anthology that most people forget it only ran for, essentially, a season and a half. Imagine now that the Control Voice had, for five years, been given the opportunity to transport us from the inner mind to the Outer Limits. As it stands, the series is filled with inventive writing, beautiful noir photography, and stellar acting. Who wouldn’t want more of that? The series was revived in color in the 1990s, but it just wasn’t the same animal anymore. 3. Thriller (1960 – 1962). Pretty much everything I just wrote above about The Outer Limits? Now just repeat it for this Boris Karloff-hosted horror anthology, which also ran for just two seasons. 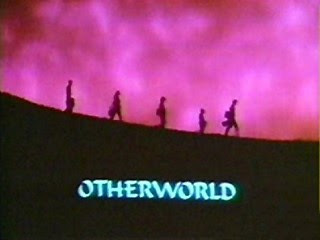 Otherworld (1985). This short-lived program about an American family -- the Sterlings --trapped in an alternate dimension, could have and should have been the Star Trek of the 1980s (at least before TNG, anyway). The individual episodes were extremely well-written, the show evidenced a wicked sense of humor (see: “Rock and Roll Suicide”), and even boasted a strong dollop of social commentary (“I am Woman, Hear Me Roar.”). Otherworld lasted eight episodes, but at least six of them are pretty damn good. The series had even begun to develop a mythology about the city of Imar and a gateway back to Earth, but it was canceled before the “arc” could be resolved. Your answers here made me happy and sad in equal measure, and it won't surprise you to know that both emotions are in response to your remarks about Millennium! Of course I agree with your choice and am happy to see the series on the list for the year 2000, but it still pains me what great television we might have been treated to had the series remained on the air for a further few years. I am sure it would have made for a very worthwhile and meaningful response to events such as 9/11, as you note. Luckily for us, though, it's still not too late to make up for this in some fashion! Of your other fine nominations, I have to give a shout-out to MST3K too! There is actually a lot of this series I have never seen, as to my best knowledge the only way to get the show in the UK is to buy Region 1 DVDs on import. What I have seen is priceless, though, so that's another one I must explore in full one of these days. I know what you mean about being happy and sad in equal measure while looking back at Millennium. I live for the day that Frank Black returns, whether on film or television, but I mourn the loss of what could have been: another three or four great seasons, from 1999 to 2003 or 2004, for instance. I just have to believe Frank would have been a great voice for sanity in an age of jingoism and terrorism. I would have loved to see him battling the Millennium Group, or cleaning up its mess, post 9/11. Oh, and one other series I would want to bring back if we were still in the year 2000... Probably my "other" favourite series of all time: Northern Exposure. It had a good run, but I've watched every episode many times over and still want more! My wife and I loved Northern Exposure too! And that's another show from the same period with another "Joel" as the star, oddly enough! 1970s... Space: 1999 was a letdown to this 14 year old smarty-pants (when it premiered, I`m much older now). I looked forward to the series after hearing about it for the first time in the summer of 1975, but that enthusiasm was methodically whittled away. I was impressed with the production design at the time, but less so now -- with the exception of the Main Mission set (nice structure, but poor, almost non-existent, electronics), I can not tell where I am in the moonbase when I see that show now. Every place looks like another. Apparently the fans have a joke about the Medical Centre not looking the same from episode to episode. That`s because most of the moonbase sets were cobbled together as they needed them. I much prefer the original Trek`s studio-full-of-sets; with each room being unique and one-of-a-kind. (Trek had much bigger sound stages, which may explain the fact that they could afford to have more `standing` sets. Obviously the two shows should have different looks to their respective sets; one took place on the moon, and the other was in a spaceship.) I also like the fact that Trek utilized the -- very expensive -- blue screen process, and made extensive use of the optical printer -- it opened up a whole world of visual possibilities. Like you, I like the Eagles; and the stun guns. And I really like the `European` sensibility to Keith Wilson`s planet exteriors. Delicious. Anyway, the scripts are most important thing and, more often than not, Space: 1999 had almost viral problems in that area -- in my opinion. But... there are things I like about Space: 1999. The big one: They tried to do something different than Star Trek. 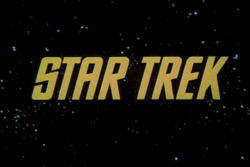 Which, interestingly enough, allows for more satisfying viewing these days with our curse of `too much Star Trek`. (Go away, please; just go away. I`ll give you anything want.) All in all, it is nice to have a series which does not slave to the U.S. television model. Refreshing. I think I`ll watch an episode of Space: 1999, tonight. I know... `Mission of the Darians`. Outstanding episode. My top pick in theme with your article: All in the Family. However, there is no need to bring back that series. It is timeless, and, for several reasons, could never be replicated. We agree totally on the 1960s, I'd say. Space:1999 for me is one of those TV "loves," if there can be such a thing, especially in terms of the first scene. I love the cinematic style camera work and lighting, as well as some of the awesome, mind-blowing trips to worlds "beyond imagination." I agree with you totally about the quality of "Mission of the Darians," a brilliant program from Johnny Byrne, but I'd definitely add to that list programs such as "Another Time, Another Place," "Force of Life," "Dragon's Domain" and "Testament of Arkadia." For me, Space:1999 always seemed more realistic and believable than Star Trek...frighteningly so. Though, of course, I'm also a huge (original) Trek fan. I agree with you that Space:1999 looks better today, even, than it did in the 1970s, in part because Star Trek's storytelling has become so stagnant. Space:1999 does horror and mystery with awesome flair, and eschews the politics in space format of Trek, to its credit. "From the desk of Barry Smight." Thanks for adding substantively to the discussion. By the way! I forgot to tell you that I recently read your book, "Exploring Space: 1999". Good stuff. Again, I did not agree with much of what you said -- of the opinion bits, that is -- but it was nice reading something of a more academic bent on the series. I bumped into Barry Morse in Toronto back in the summer of 1988. He walked right by me while I was before a bookshelf at the "Yorkville" branch of the Toronto Public Library system. I should have said, "Bones!" I mean, "Victor!" He was a nice man, from what I understand. I cannot believe that this extrovert did not approach the man. Even then I knew that he did not like his experience on Space: 1999, so I would have acted the professional and asked whether or not he had an "upcoming show at Stratford". "Veronica Mars" was one of the few TV shows of any kind to deal with class differences in America head-on and in interesting, unexpected ways. A great show. But I'm always ambivalent about reviving old TV shows, mainly because I think most successful TV shows outstay their welcome anyhow. VM lasted three seasons, which in my view is the max for any series to retain its freshness and interest. At around that point I think the writers, actors, and directors become bored or burned out, and the show slips into formula. I agree with you that Veronica Mars was that rare bird that dealt with class in America, and more so, with such incredible intelligence. I understand what you mean about three seasons being, essentially, a good, successful run, but I just feel in terms of a lot of my choices on this list, VM included, that there was more greatness there. John I agree with the majority of your choices. Childhood was a special time so for me as a boy in the 1970s these were my top three new first-run prime-time television series, I think you absolutely hit it out of park with SPACE:1999(1975-77), KOLCHAK:THE NIGHT STALKER(1974-75) and BATTLESTAR GALACTICA(1978-79) Even if we ignore the ill-fated GALACTICA:1980(1980-80) second season of which only the first time-travel two hour episode “Galactica Discovers Earth” was satisfying, even more satisfying than the 2003-2009 reboot final “Daybreak” episode. As far as Saturday morning 1970s remakes would be ARK II(1976-77) as we already discussed on a previous post of this series, so much potential there. Your 1960s choice for Outer Limits is spot on because, as you stated the ‘90s reboot series was not at all like the original series. Being a boy in the ‘70s reruns Mondays through Fridays of both LOST IN SPACE(1965-68) and STAR TREK(1966-69) were absolutely paramount to me [pun intended]. As a boy when I discovered that Irwin Allen cancelled the renewed for a fourth ‘68-‘69 season of Lost In Space due to CBS new budget cuts I was devastated he aborted his own creation. I know it was camp[due to Adam West’s Batman influences] in especially season 2 & 3, however, as a diehard fan I always wanted to see them return to season 1 early episodes of serious adventure and get to Alpha Centuri or Earth. It was like reading a novel that someone ripped the last chapter out of, extremely disappointing. As far a the original Star Trek series, we know Kirk completed his five year mission in 2270 as stated in the Star Trek:Voyager “Q2” episode. So for me, as a young boy in ’73, the first-run Saturday morning Filmation STAR TREK (1973-1974) ANIMATED SERIES was the completion of his five year mission perfectly prepping for the soon to be Star Trek:The Motion Picture(1979). John I especially like these various decades choices of Thriller, Fantastic Journey, Otherworld, MST3000 and , of course, Millennium. I love reading about your affection, too, for Space:1999, Kolchak and Battlestar Galactica. All of those series would have benefited from additional seasons. They are "cult" hits now. Just imagine their popularity if each had lasted five years? I did actually, reflect on Lost in Space while writing this list. I was a big fan of the black and white first season, and would have enjoyed seeing the series continue in that first season format, which was a bit more serious and less camp than season two. I intend to write more about my love of LIS (season one) one of these days, for "underrated but great...". I'd love to see a serious, adult remake of Ark II today, with a little more detail, a little less (overt) moralizing, but some of the same designs (vehicles, uniforms), to be sure. As soon as I sent that question to you, I knew it was very broad but also knew that you would tackle it head on and I have to say, it's a fantastic answer to my question. Thanks for taking the time to think this one through. Many great shows are mentioned in your post, but the ones that are special to me are Millennium, Brimstone and Firefly! You asked a great question, and it has sparked a terrific dialogue here on the blog (which is, after all, the purpose of blogging...). Thank you for such a great and thought-provoking question! I knew, for sure, that we'd agree on Millennium, Brimstone and Firefly. Those are three programs from the era 1996 - 2002 (just six years...) that prove genre TV was having a kind of second golden age, at least in terms of imagination and quality, in the late 1990s. I think Chris Carter, honestly, is largely responsible for this second golden age. If The X-Files hadn't been so great, we'd never have gotten Millennium, and Joss Whedon would never have gotten Buffy or Angel on the air, let alone Firefly. So I thank Chris Carter and his associates for spurring a real renaissance in cult tv in the 1990s! Thank you again for a wonderful question! All those choices from the 1990s -- Twin Peaks, American Gothic and Dark Skies -- are wonderful ones. I'd be on board with ALL those selections. I was just writing in my previous response, to Troy, about how I love the mid-1990s to the early 2000s and consider that period a second golden age in terms of cult tv. Twin Peaks pre-dates that period just a little, but American Gothic and Dark Skies are squarely in "the zone," and all three are terrific shows. The series I would have liked to see continue to see where they would go. Quantum Leap, it was a real shame how they ended that...the original ending for the season 5 finale was really cool. Season 5 changed things up, it wasn't just the same thing over again (although he was still leaping from one person to another and making things right what once went wrong) but the world was somehow bigger. I would have liked to see Twin Peaks return for a third season, I don't care for that film Twin Peaks: Fire Walk With Me, the actors looked way too old by then and it was rather pointless seeing what happened before Laura Palmer got killed since we know through the course of the series who killed her. As bad as Sliders slid down, I really would have liked to see it return, as it ended on a cliffhanger on an episode that wasn't half bad, although the actions of one character was rather thoughtless in the larger scope of things. Just a real shame how this show with infinite potential managed to become the most generic show made. I would be okay with a reboot or just get the original team back, somehow they're still alive after all this time. A great concept, what is it with what-if sci-fi shows and TV that don't mix with Americans? Tru Calling was tragically cancelled during season two after about 6 episodes and the show was strong as ever after a mixed first season. The first half of season one was to some dull and characters not getting the dilemma of Tru. However, second half of the season was brilliant with a late addition of none other than Jason Priestly, who would have thunk it!? Journeyman, similar tragedy, but they managed to at least end it on a some sort of closure while things are still wide open in terms where to go. Another brilliant show axed. Day Break, they had the fortune of closing the main story while leaving a couple of things open, I would have liked to see where they would go with this...another day repeating? Could they do that? A fun show. Raines, Jeff Goldblum, why was this axed after 4 episodes? Really interesting detective show from the creator of Boomtown. I would have at least liked to see a full season. FlashForward, I would have liked to see season two, I liked the show. Well, those are my shows.